This is a meal that takes 10 minutes to do from start to finish! Saute the onions and meat for 5 minutes and pressure cook for another 1! It is filling and super healthy for you, unless you like it with sour cream like I do! It is literally 6 in the morning on a Saturday right now and I am awake. I was making Icelandic Yogurt and had to check it at 5, so I am waiting for it to thicken to see if it is something that I can make again for the blog! 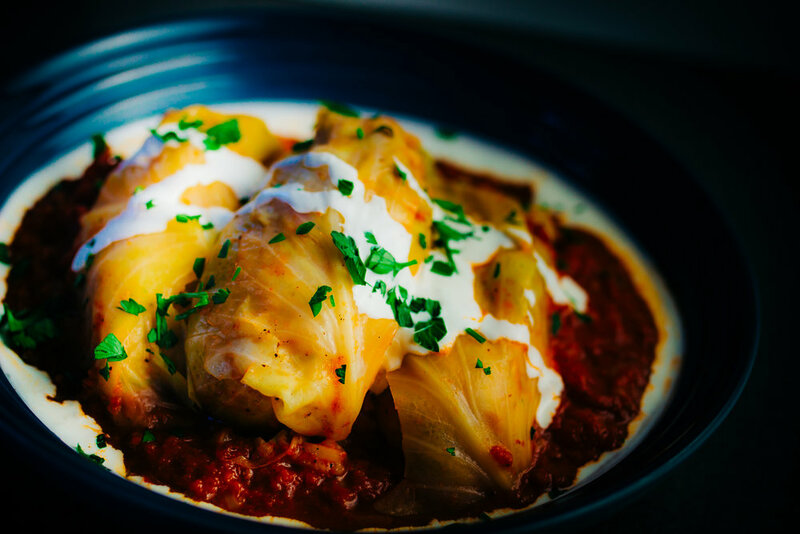 Friday on stream was Russian Day, so I decided to make Golubsti, or stuffed cabbage, for my lunch. I wanted to do it in the Instant Pot because I knew it would be very quick. Not only was it quick, but it was so much more flavorful than I thought that it would be! This is something that needs to go in your weekday rotation! Put Instant Pot on Saute, add oil, onions, and ground turkey for 4 minutes or until brown and mostly cooked. Roll everything you’ve made into the cabbage and secure with toothpicks. Drop in the crushed tomatoes, the stock, and seasoning. Put in a steam basket and add the cabbage rolls. Please follow us on Twitch, we are currently doing a charity event for the San Francisco Marin Food Bank! Every donation, bit, and sub is going to the Food Bank, as well as every bit of non-perishable that is donated! If you are in San Francisco, we only have 10 tickets left to our Annual Charity Event! So go buy a ticket, I will be cooking up an amazing brunch! For updates go to our Instagram and Twitter!